The eight male speakers covered the cases of Michael Reyes (Brocade), Joseph Nacchio (Qwest), Scooter Libby and the KPMG defendants. One recurring theme was what I call the "the context of the case." 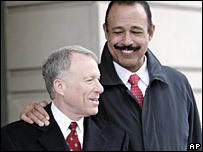 For example, in discussing the Scooter Libby case, Theodore V. Wells, Jr. noted how the Scooter Libby case could be seen as a proxy for how people felt about President Bush and the war. It was a "he said-she said" case on a 20 second phone call - but the timing of the trial was important. Lawyer Asks Bush: What About My Client? David Dow, the University Distinguished Professor at the University of Houston Law Center who represented a death penalty defendant in Texas while George Bush was Governor, has some questions for the President in this Houston Chronicle Op-Ed about his commutation of Scooter Libby's sentence and his failure to grant the same to his client, Carl Johnson. My client, Carl Johnson, committed the worst crime that can be committed against another human being: He killed someone. 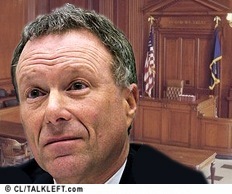 And Lewis Libby committed the crime that is most injurious to our criminal justice system: He lied. Unlike my client, Libby, who was convicted by a jury of his peers despite being represented by the best lawyers that money can buy, has never shown any public sign of remorse. 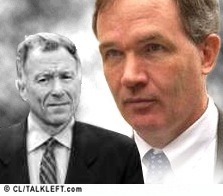 Nevertheless, despite all that, President Bush did not exceed his authority in commuting Lewis Libby's prison sentence. The Constitution gives him the power to do what he did. But it is possible for actions to be lawful and simultaneously in conflict with other constitutional principles. Last week's pardon deeply offends the constitutional value of equality, the idea that all citizens stand equal before the law.